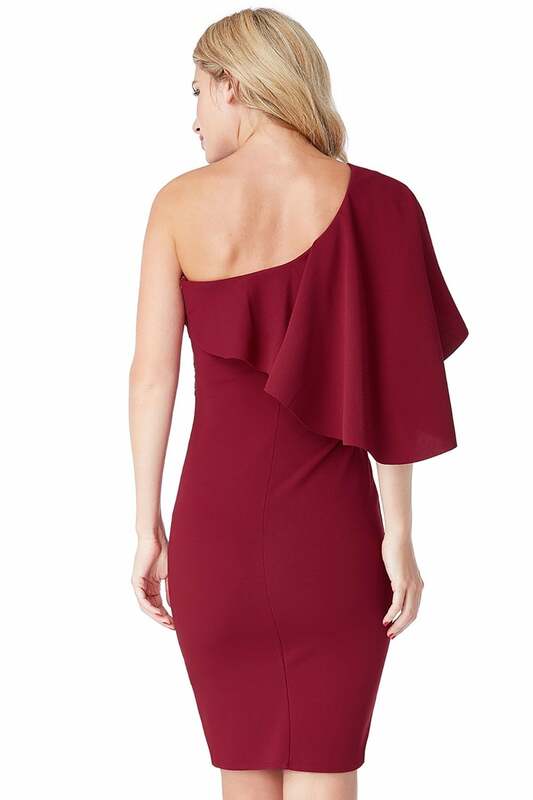 Dress to impress in this gorgeous one shoulder midi dress, with frill detail. This dress is the perfect party dress for any season. 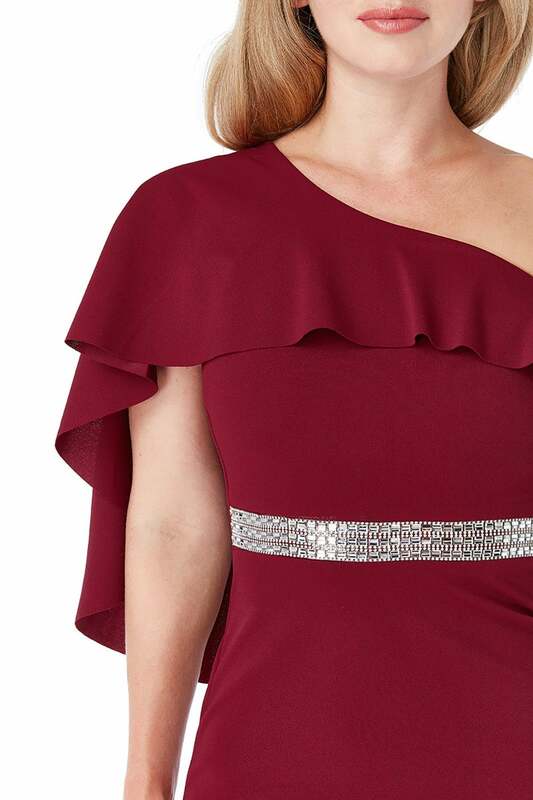 Its diamante belt adds glam to this simply stunning dress. Team with some shinny heels and matching bag.